This engrossing work details the early history of the colonization of Manhattan and its surrounding regions from the exploration of the Hudson River in 1610 through to the final surrender of the colony to the English in 1664. The thoroughly-researched history takes the reader through the trials and tribulations of colonists, Indians, slaves, soldiers, and politicians alike. Hardships, religious struggles, and Indian wars dominated the early history of the settlement, but Peter Stuyvesant’s rule was marked by many building projects, of which the end results are still seen today: a protective wall (“Wall Street”), the canal that became Broad Street, and Broadway. The author writes with objectivity about the suffering of colonists, Indians, and slaves—and of the fighting between the English and Dutch over possession of the colony. 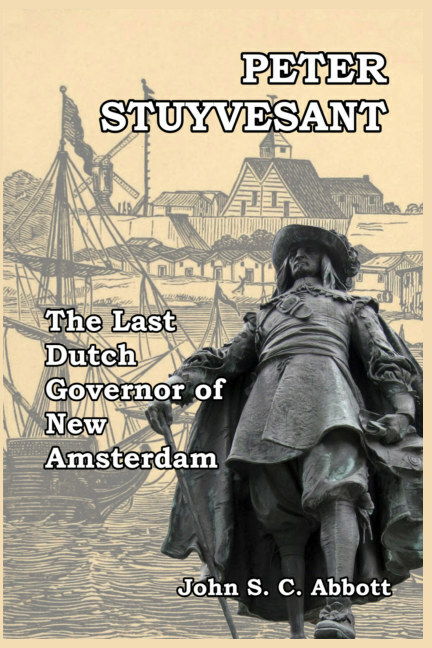 “It is impossible to understand the very remarkable character and career of Peter Stuyvesant, the last, and by far the most illustrious, of the Dutch governors of New Amsterdam, without an acquaintance with the early history of the Dutch colonies upon the Hudson and the Delaware. Peter Stuyvesant leads us to the Hudson, from the time when its majestic waters were disturbed only by the arrowy flight of the birch canoe, till European colonization had laid there the foundations of one of the most flourishing cities on this globe.” – From the Preface.